Are you ready for some spooky fun this Halloween. The Capital Region offers up everything from family fun events like the Saratoga Fall Festival to the super scary like the Zombie Zip Line. There’s something for everyone – scary or fun, day or night. Experience the ambience of candlelight bathed rooms as you immerse yourself in the Schuyler House Annual Candlelight Tour on Saturday, October 13, 2018. Walk the floors and hear the stories of the Schuyler family and their many visitors including George Washington and Alexander Hamilton. Old Saratoga Historical Association hosts the annual Candlelight Tour of General Philip Schuyler’s 1777 country house. Their members join park staff and volunteers to guide visitors on short tours throughout the evening. Bring the whole family to celebrate the fall season just in time for Halloween in beautiful downtown Saratoga Springs with fun, games and trick-or-treating! The Saratoga Fall Festival has everything from a costume parade to rock climbing walls to live music and over 65 vendors offering seasonal favorites like pumpkin-spice lattes, hand-painted pumpkins, pies, pumpkin-flavored baked goods, fall apparel, and more! Kids love dressing up early and heading downtown to paint pumpkins, ride ponies, and bob for apples. Parents love that it’s free! It’s time to bust out your broomsticks and magic wands! 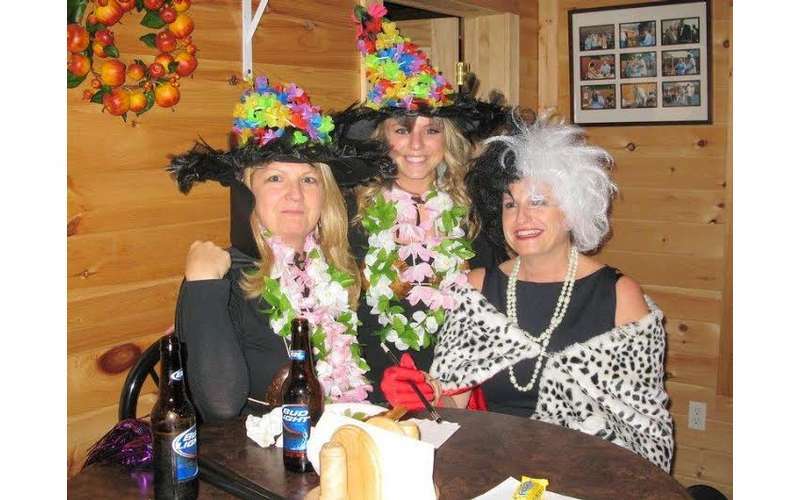 The annual Witch Walk Pub Crawl is making its way to the streets of Ballston Spa for its spookiest year yet! Established in 2005 by Carol Lang to help raise donations to support local animal organizations in the area. The Ballston Spa Witch Walk has grown to over 300+ witches. The annual pub crawl raises donations for various local animal organizations and brings 100’s of people to the local establishments of Ballston Spa. The Witch Dance is for all ages and takes place BEFORE the Walk and is also performed at various places around town throughout the pub crawl portion of the walk. Donations of any amount are welcome, proceeds will go to local animal charities and organizations in need that Carol Lang has been working with through the years. The Witch Dance Is scheduled to begin at 5pm in Wiswall Park. At 6:30 pm, participants will head to The American Legion to register and grab a snack before beginning the pub crawl. At the end of the pub crawl, the merriment will continue with a live band and the judging of the costume contest at the American Legion. Hallo-WINE Party with FUNK EVOLUTION! Get your costumes on and get FUNKY! Join us for our annual Hallo-WINE party with live party music on the deck by FUNK EVOLUTION! Saturday, October 28th from 8pm-Midnight. Wood Fired Pizza, Costume Contest and all your favorite wine, beer, spirits and hard ciders. $10 cover. 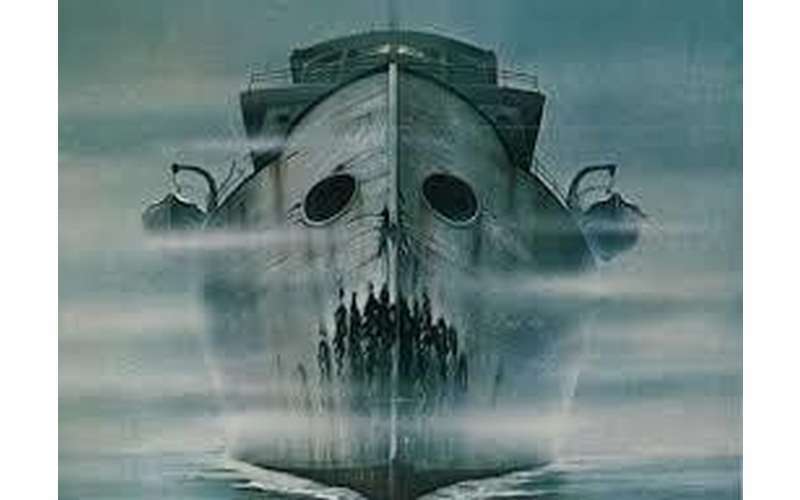 Sail on the Adirondack Cruise & Charter Company’s Ghost Ship for a singularly unique Halloween experience – – if you dare! The journey begins with ghosts and ghouls roaming the docks on the haunted trail to the ship. The crew of the dead we sails the haunted, eerie waters of Saratoga Lake for close to an hour giving you plenty of time to learn all the secrets of the area. . If we even make it back alive, Warm apple cider and yummy S’mores await your return to shore – – that is, if you return. Warning: Trail may be dark and unlit, with disturbing scenes and live actors. Stories and tales may be fictional or based on real events. Please decide if this cruise is right for your guests before purchasing tickets. Tickets are not refundable. Costumes are welcomed! Are you wondering what comes out at night in the corn maze? 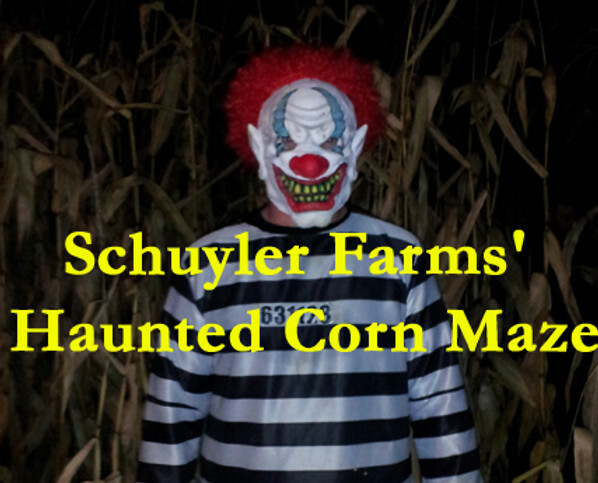 Stop by Schuyler Farms – the “sTalk” of the town. Every twist and turn in the haunted corn maze will hold a new surprise for you. As you navigate your way through with just a flashlight to guide your way anticipation and fear will build inside of you. There are demons and ghouls around every bend, masked men with chainsaws following behind you, and haunted buildings within the maze to pass through. This is a unique experience that will have you coming back year after year! The maze can be slippery, so dress accordingly. Do your Halloween interests run more toward event that are not for the faint of heart? If so, this is the perfect “scare” for you. The nightmare begins with a corpse-guided tour along a serial killer infested forest and gets more interesting when victims are hauled into the trees among complete, utter horror. Once in the trees, victims (guests) are submerged into complete darkness…alone, afraid, and vulnerable.. The only way down is through a screaming steel cable hundreds of feet along Mountain Ridge Adventure’s awesome Zip Line Park. The terror occurs every Friday and Saturday night in the month of October from 7 pm – 10 pm. 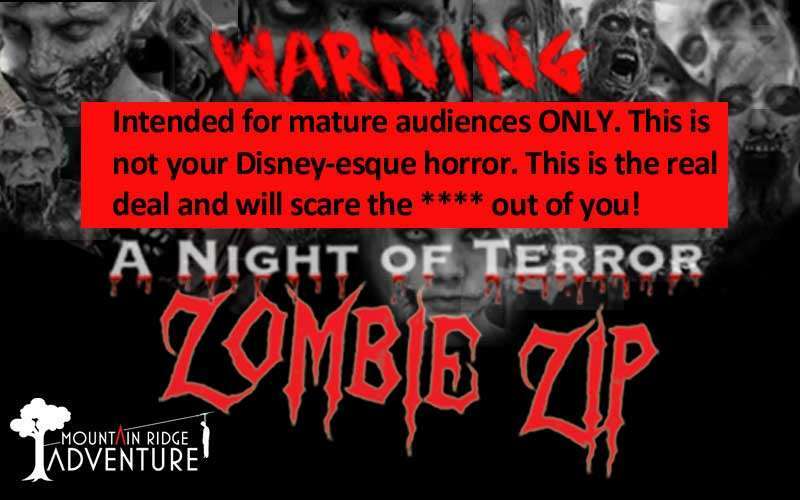 Zombie Zip Line is intended for mature audiences only. You must be 14 years or older to participate and the age restriction is strictly enforced. This is not your Disney horror show. This is the real deal. Tickets are limited – book today!